Amazing value! 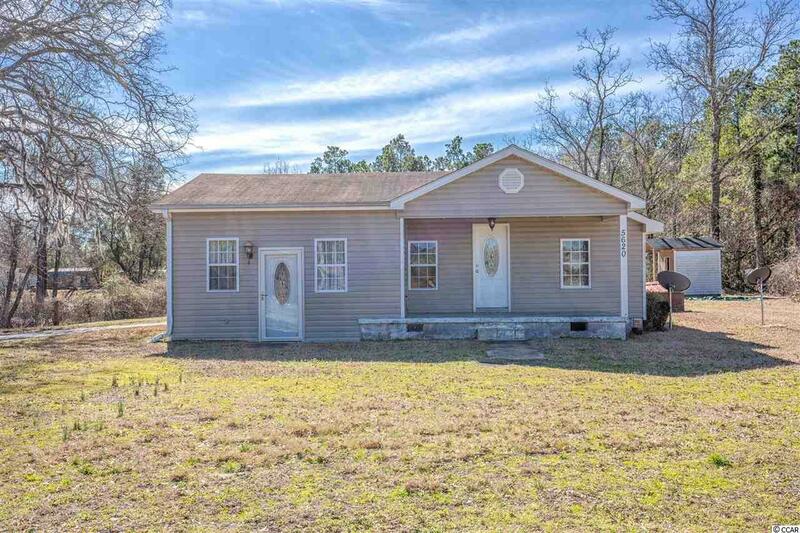 This 3 bedroom, 1 bath single family home sits on 1.5 acres of land and has a huge 3 bay garage/workspace. 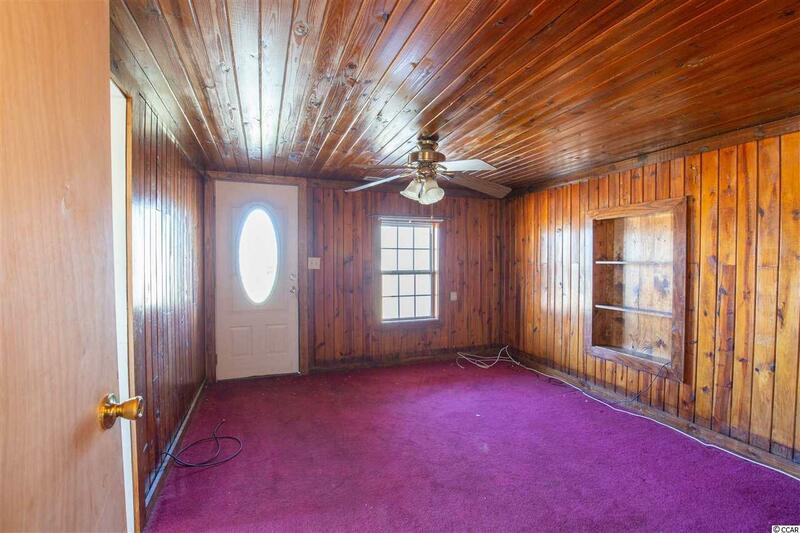 This home has 2 living room areas, one that could be used as an office, den, or study. 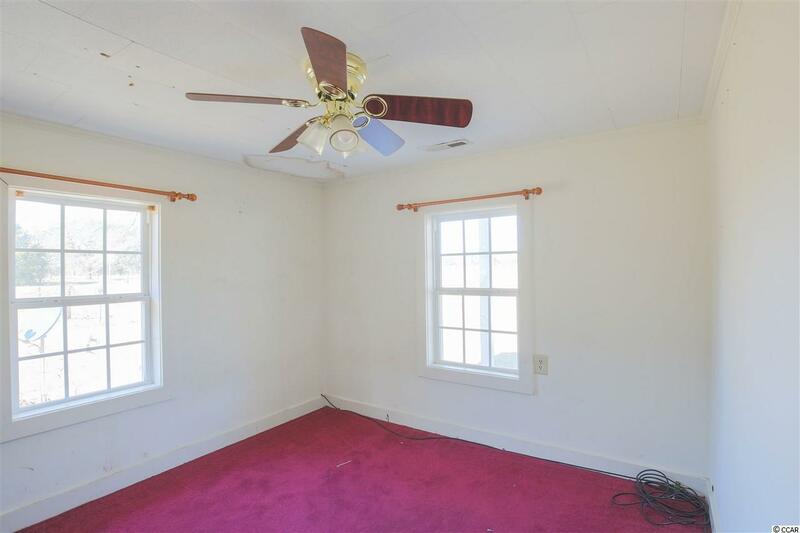 The master bedroom has an oversized walk in closet. There is a spacious laundry room with a utility sink; also there is a very large deck outside. The garage out back is a massive 3 bay metal building with reinforced trusses. Inside the garage you will find a small suite with a kitchenette; this suite has its own HVAC unit as well. 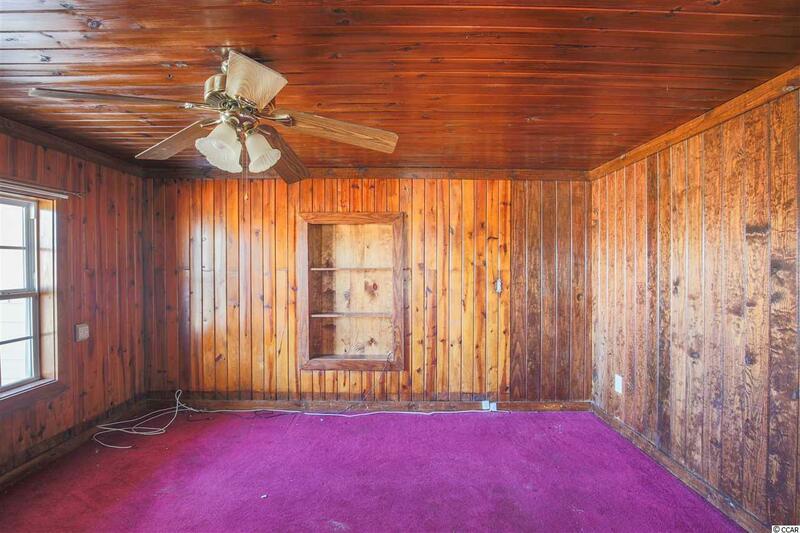 If you are looking for a fixer upper with some serious potential, look no further! Listing provided courtesy of Keller Williams Trembley Group. Listing information © 2019 Coastal Carolinas Association of REALTORS® MLS. Listing provided courtesy of Keller Williams Trembley Group.